Pasarel - American Silver Plated Cocktail Shaker, Crescent Silverware MFG Co, 1930’s. 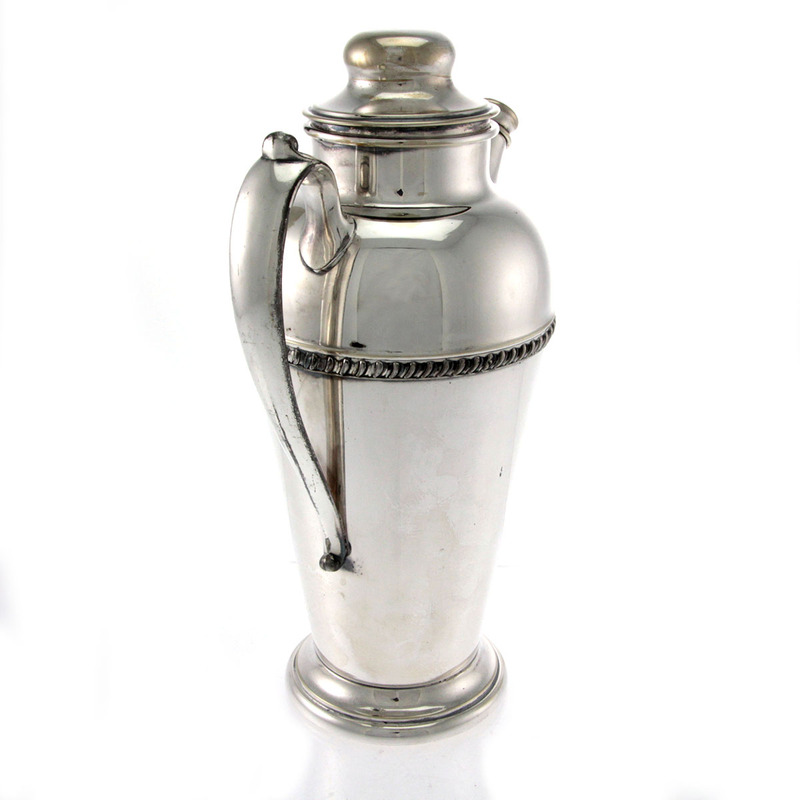 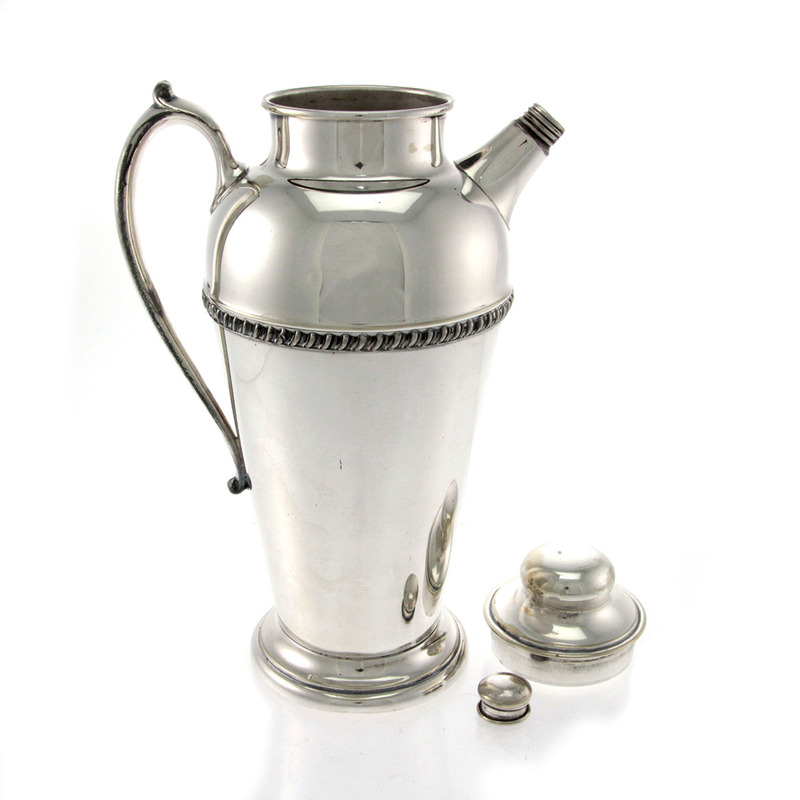 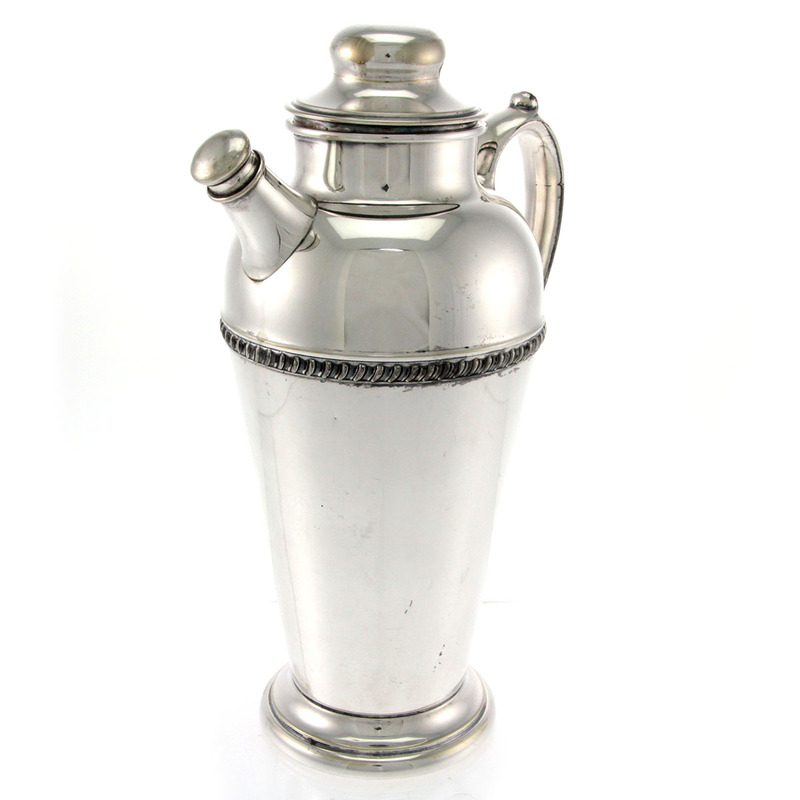 American Silver Plated Cocktail Shaker, Crescent Silverware MFG Co, 1930’s. Of tapering form, ear shaped handle, detachable cap for inserting the ingredients and a spout with a screw on cap and a built in strainer. 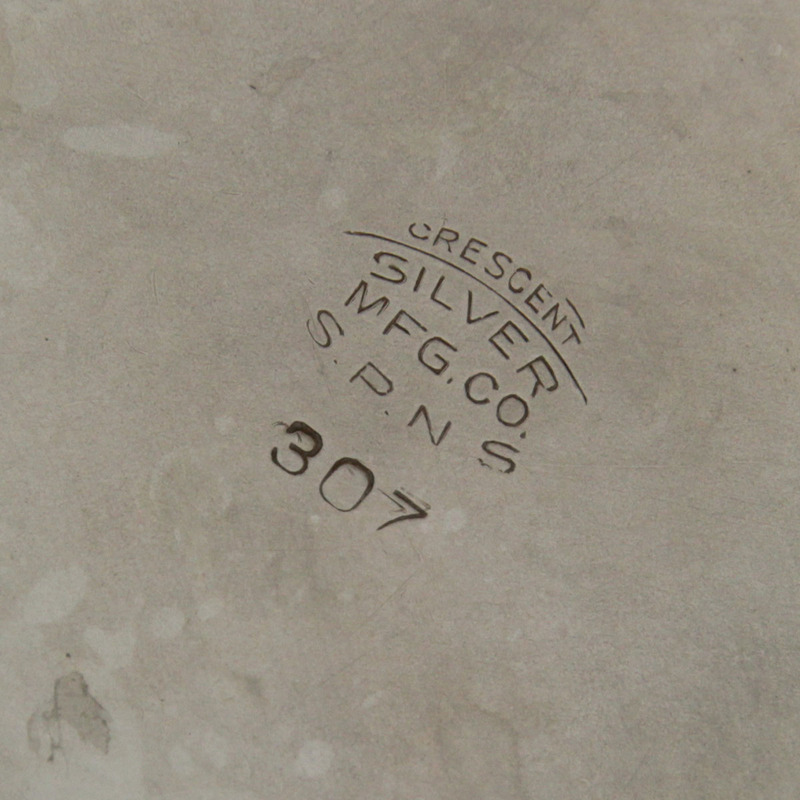 Marked – Crescent silver MFG Co S.P.N.S 307. Very good condition, two tiny dings and minor loss of plating to the handle.